Welcome to your ultimate source for betta fish pictures. The most beautiful things about fighting fish are their wondrous colors. The above slideshow illustrates several of the beautiful types of betta fish you can buy on My-Betta-Fish.com. Our betta fish pictures show what choices you have when you buy betta fish and what your betta will look like. Remember that all of our bettas are guaranteed to be healthy. They receive expert care from our betta experts and will arrive at your door the picture of betta health. Solid color betta fish are very uncommon these days. It means that they have not been cross-bred and a solid betta is getting increasingly difficult to find. 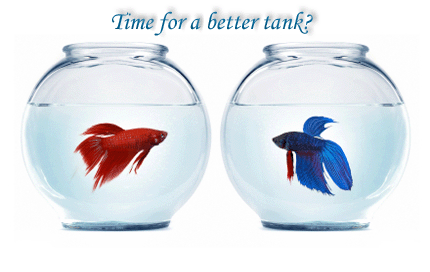 The main reason is that most people who buy betta fish want a typical, colorful betta fish. Common betta fish colors for a solid betta include yellow, blue, red, white, turquoise and green. Bi-Colored betta fish have a solid colored body and a different colored fins. The most common bi-colored bettas include Chocolate Bettas that have a dark body and fins that are yellow or orange. The Cambodian is often bi-colored as well, Cambodians have a fleshy toned body and have either red, blue or green fins. Patterned betta fish are the most sought after betta fish and are hard to find. Do not confuse them with multicolored bettas. Patterned betta fish are multicolored, but their colors are carried out in a distinctive pattern or either stripes, marbled or a butterfly pattern. Multicolored betta fish have splashes of color with no distinctive pattern. You can find multicolored bettas in just about every color of the rainbow. When you decide to buy betta fish, take some time and figure out exactly what color and color combination you like best. Male Betta fish are usually what you see in betta fish pictures. They have more vibrant colors than their female counterparts. As in most animal species (except humans) the males need to be flashier and more colorful to attract a mate. Japanese Fighting fish: People often use the term Japanese bettas synonymously with betta fish. Historically, some bettas did stem from Japan, but they were more predominant in the rice patties of Thailand. 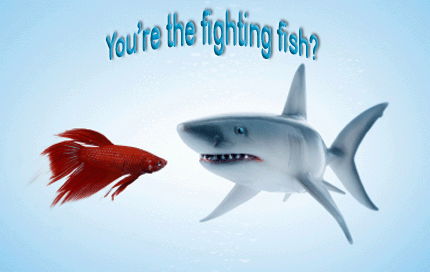 But don’t worry, you can refer to betta fish as Siamese fighting fish, Japanese bettas or even Chinese Bettas. 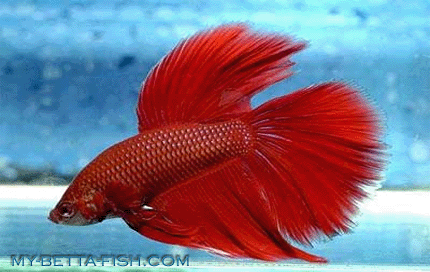 Crowntail Betta fish: Crowntail bettas are perhaps the most beautiful betta variety. Crowntail bettas have been bred to have extremely colorful tails that come in a wide range of shapes and sizes. The one tell-tale sign of a crowntail are the points on its rear fins that resemble the points of a crown. Crowntail betas have also been bred to be more combative than other types of betas, so be careful of the betta tank mates you choose. Female Betta fish are usually less colorful and have shorter fins than male bettas. Female betta fish are usually kept in community tanks with other female betta fish so they are used to communal living. However, make sure you take the necessary steps if you are breeding betta fish. Introducing female bettas into a tank with a male betta is a little tricky. Baby Betta fish: Breeding betta fish is one of the most rewarding parts of owning a betta. It’s awe inspiring to watch them go from a miniscule cluster of betta fish eggs, to just eyes and tails hanging from the edge of the bubblenest, to your betta fry being able to swim on their own. Betta fish pictures of babies are hard to find, but we’ve included a few in the above slideshow. 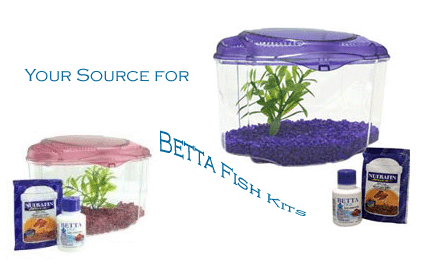 For more info on how to care for baby betta fish and feeding baby bettas visit our baby bettas information page. 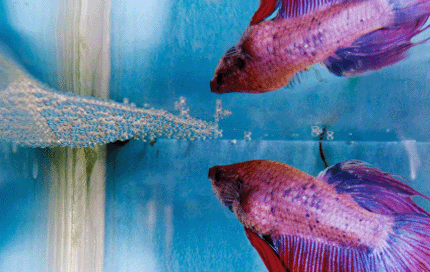 Betta fish pictures are captivating and they illustrate how rewarding betta ownership can be. 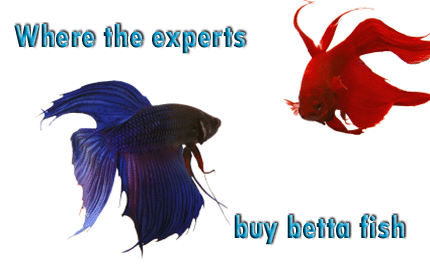 If you’re a novice aquarist, thinking of buying betta fish don’t spend money needlessly. 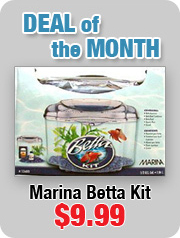 Start off with one of our inexpensive betta fish kits. Without breaking the bank, you’ll have everything you need to start taking some betta fish pictures of your own. I was shocked to find out that the live food I was feeding my betta was making him sick. A huge thank you to the betta expert who advised me to start using your betta max food, Rocky is healthy again and more colorful than ever!